To this day Scott Fraser holds the record at Riverside International Speedway for the most wins in the annual 250-lap event, now known as the IWK 250. Just as impressive as holding the most wins, at five, is the fact they were consecutive (1994 to 1998). The Shubenacadie native started racing at just 16 driving street stocks – and scoring the most wins ever in a season at Onslow Speedway. He moved to open wheeled race cars winning the division title in his rookie year; and at the same time was rookie runner-up on the MASCAR circuit. He finished third and fourth in back-to-back ACT races in his series debut and won an ACT race in 1991. In 1996 he won 12 of 15 MASCAR races en route to his first series championship; in 1998 he repeated the MASCAR title. In 1999 he won the IPSC championship and was named the Nova Scotia Male Athlete of the Year. In 2000 Scott stunned onlookers by qualifying second and leading several laps in his American Speed Association (ASA) debut. In 2002 and 2003 he scored wins at 12 of the biggest shows in the Maritimes and New England. Scott Fraser passed away March 20, 2004 in a snowmobile accident; he was just 33. 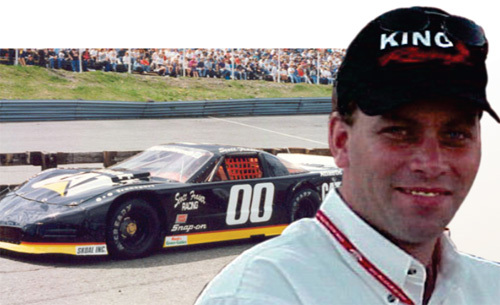 Scott Fraser was inducted to the Maritime Motorsports Hall of Fame in 2006, the Canadian Motorsports Hall of Fame in 2008, and the Colchester Sports Hall of Fame in 2010.